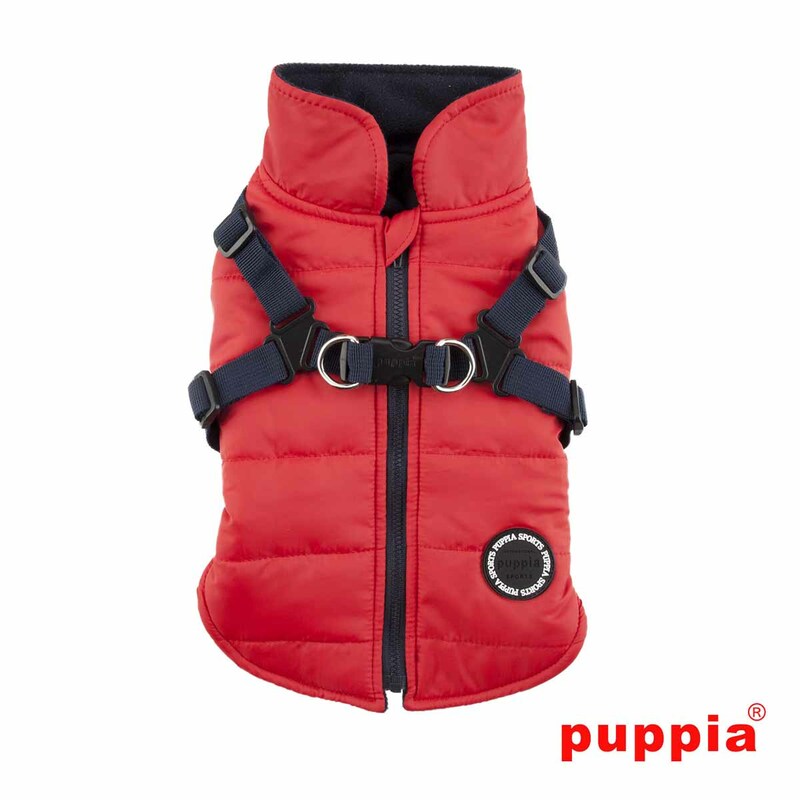 Bring on the snow and cold with this rugged Mountaineer Harness Dog Coat by Puppia in Red! 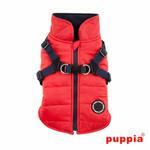 Mountaineer Harness Dog Coat by Puppia - Red Customer Photos - Send us your photo! 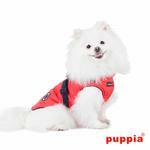 I love Puppia jackets with harness. 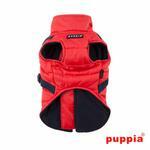 Jax is snuggled with warm fleece on the inside and waterproof softness on the outside. Absolutely beautiful coat inside and out. The quality is amazing and the fit is perfect. This is Jax 3rd Puppia coat and they are well worth the money. Posted On 11/04/17 by Michelle A from Seattle, WA Yes, Michelle A recommends this product! Unfortunately, even the XXL was too small for our 60lb pitbull-beagle mix. I loved how sturdy the harness looked, and would only recommend that there is an additional clip at the chest as well as on the back. Please consider making a bigger size, we would really love it! I found this coat to be made of very high quality materials. I especially like the fact that the velcro fastener fastens on the dogs back rather than on his chest making it so much easier to put on. I would totally recommend this coat. Posted On 08/02/16 by karen c from merced, CA Yes, karen c recommends this product! The negative rating was because there was a problem getting my selections into the cart. I clicked & clicked & clicked some more. No luck. Then I changed the quantity then changed it back, then clicked several more times on "Add to Cart." FINALLY, my item made it to the cart. Frustrating though.